This is for all candidates writing the JAMB 2019 examination, this guideline will help you check your JAMB 2019 Result using the JAMB result checker portal for 2019. Here are the Official Guidelines to Jamb Result Checker, which is authorized by the Jamb Official Board. Want Us to Check Your JAMB RESULT 2019 For You For Free? This is to inform all Students that will be sitting for the 2019 Jamb Examination can now check their results using the Below step by step guidelines. This article is to help guide you so that you wouldn’t make irrelevant mistakes as other candidates while trying to check their UTME 2019 Examination. This is to inform all candidates who participated in the recently concluded Jamb Examination, that they will be able to check the outcome of their JAMB result using the guidelines below. We advised those who scored below the 2019 JAMB cut off marks to check for other institutions accepting below the official cut off marks. More than 1,800,000 candidates were registered for the 2019 UTME, which was held across the country Within the month of April. Precisely, April 11th to April 17th, 2019. ThisLast year’s candidate’s count is among the largest and highest number of registered candidates since the existence of the JAMB UTME. However, the good news is that the Jamb 2019 result can be checked through the JAMB official portal. Checking YOUR JAMB RESULT is absolutely FREE. There is absolutely no need to ever pay anyone to CHECK your JAMB RESULT for you. You won’t be needing any scratch card nor additional payments to even check your JAMB RESULT. Checking your Jamb Result will be as easy as A.B.C and we advise that you CHECK your JAMB RESULT with a computer or laptop. You can also CHECK JAMB RESULT via a smartphone or mobile device. The reason why we advise that you CHECK your JAMB RESULT with a Computer is because You’ll need to Print out the slip which is not obtainable on some Mobile Phones except the latest HD/Smart Mobile phones. To check your result, you’ll need to visit the JAMB official Website. 2. Your JAMB Registration Number. 1. 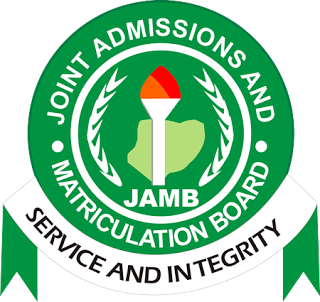 You’re required to visit JAMB OFFICIAL WEBSITE shown above. 2. When it opens up, do check your upper right side once the site is opened. 4. When your JAMB RESULT has been shown to you, print out the copies for further usage. Note that Further information regarding the Jamb Result Checker 2019 will be shared via this Website. 1. You will not be buying a scratch card to check your results. 2. Keep away from fake Jamb officials, who claims and promise to change your JAMB RESULT / JAMB SCORE for you. 3. Jamb will never collect money from students so as to rank them higher than other students. 4. Make sure you have the full details of the school you are about to enter before traveling there. 5. You can check Jamb results on your Computer, Desktop, Laptop, Netbooks and Notepads, iPhones, iPads and other high tech browsing devices. You might just have problems printing your result, except with the usage of a Desktop or Laptop system. Please Note that For Further Information regarding the JAMB RESULT, memorized this dailyschoolnews.com.ng. Then LIKE us on Facebook by clicking the link below and LIKE it or join us on Twitter. For Mobile Phone Users: LIKE US on Facebook and JOIN US ON TWITTER. We;ll advise you to read your books, but hey, we will surely help you out. When is jamb result 2013 going to be out? between 1st to 3rd of may 2013. Pls I want you to email me wen they release 2013 jamb result. Thank you! it is not yet released!!!! but when it is released, we surely will. We are not sure which method you can use yet, but we will get back to you when the result is out. We are expecting the result to be released within the next two days, by that time, we will ask for your Details. Name: UWABUNKEONYE IFEOMA DEBORAH. Jamb reg no: 35503402xx. Mr. Ayo just upgrade my jamb scores call him on 07051941340 so that yours can be done. have misplaced my card.is there any alternative to check to my result. heres ma jamb reg no:35608661AC. please can you help me to check my jamb result and email it to me?